This accessible and practical reference is for health care providers who work in a primary care setting and who have patients with substance use problems. Based on current clinical evidence and the extensive clinical experience of the editors and contributors, the toolkit provides brief answers to common clinical questions, as well as relevant clinical tools and patient resources. 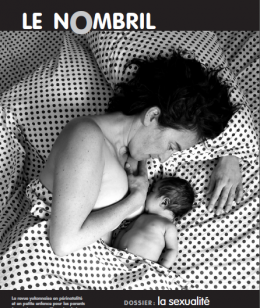 Various tools and materials to assist health professional promoting breastfeeding amount new moms. Health Nexus produces multi-media resources on a broad range of health promotion topics, both independently and in collaboration with other organizations and experts. Our tools include how-to guides, best practices, tip sheets and videos—and we can also link you to the latest sources in heath promotion from around the world. Various resources and ideas for physical activity program, warm-up session and health promotion education tools for school aged children. éducavie.ca from educavie on Vimeo. This site develops and sustains collaboration among public health professionals, community health services and francophone education services in Ontario. This network, which focuses on the health and well-being focus on the following topics: growth and sexuality, mental health, addiction, healthy eating and physical skills. Free online course offer to support health promotion in Ontario by strengthening the capacity of individuals and organizations to plan and implement health promotion programs. HSPnet is a comprehensive, web-enabled Practice Education Management system for the health sciences, addressing challenges of discipline-specific and interprofessional student placements. Get on the right track to diversity and inclusion! French speaking people are an invisible minority that are not recognized by a last name alone… Let the French speaker come to you. Clearly place the focus on your bilingual staff using these simple and effective promotional tools. 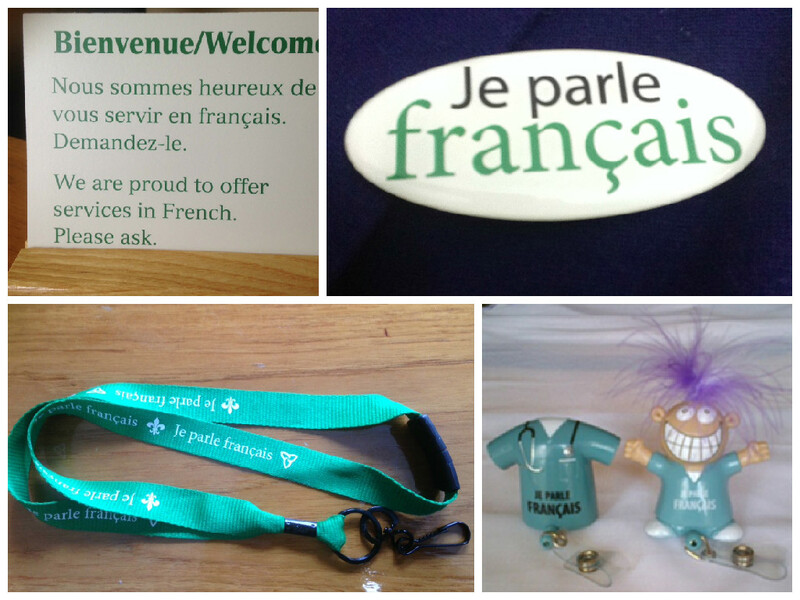 These posters, pins, and promo items have been proven effective by various Ontario organizations working with Francophone Minority Communities. The models were enhanced in response to trials and recommendations by customers and users in health care settings. Increase your staffs’ productivity and reduce patient confusion. The French physicians of Canada website offers various games to learn appropriate French medical terms to use in different situations. Which terms are acceptable or should be avoided. 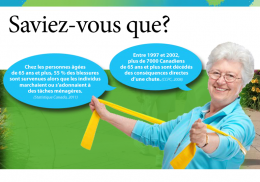 Very interesting tool for English speaking doctors working with francophone minorities. 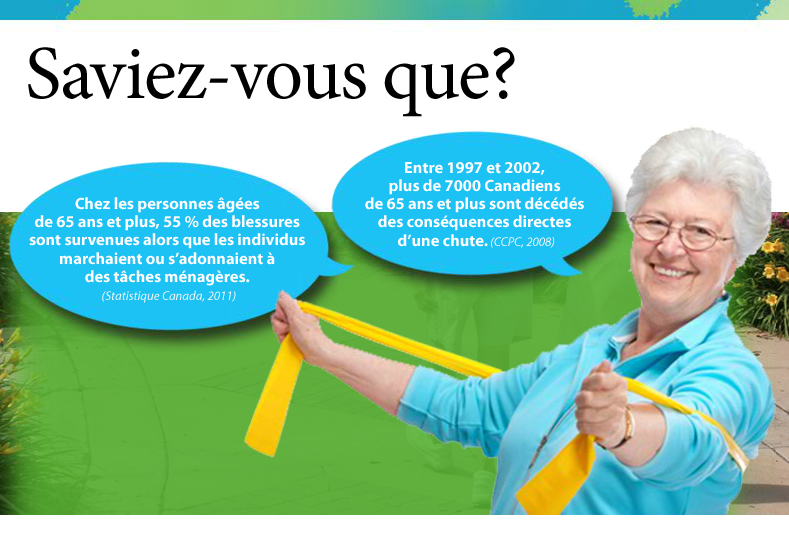 "Marche vers le future" is one of a kind initiative to prevent falls and designed to meet the needs of clients in remote regions. A design initiative to remotely meet client’s need on a unique fall prevention program. Through this program, seniors living in francophone minority communities can now receive similar training to those living in urban areas. Through videoconferencing, participants receive professional expertise which are not available in their communities. Become a trainer following a free two day videoconferencing training. Facilitating the acquisition of knowledge and skills leading to the active offer of French language health services, this toolkit has two objectives: educate Francophone health professionals about the importance and scope of their role and help them to integrate more French active offer in their practice in order to provide quality, safe, ethical and fair health care services. This toolkit is for anyone who wants to advance health policy in their community or encourage change at the local level. See also the accompanying resource Handbook to Healthier Communities.